A movie about Shirley Jackson, author of “The Haunting of Hill House” and “The Lottery,” will begin shooting in Jefferson Heights this week. The thriller “Shirley” is partially adapted from a 2014 novel of the same name by Susan Scarf Merrell, said Alex Sherman, an assistant to the film’s producer Allison Carter. Josephine Decker (“Madeline’s Madeline”) has been assigned to direct and Sarah Gubbins wrote the screenplay. The novel centers on a young couple who spend a year with Jackson and her husband at their home in Bennington, Vermont, according to Merrell’s website. Elisabeth Moss, whose credits include the TV series “Mad Men” and “The West Wing,” and the recent films “The Seagull” and “The Square,” plays Jackson. 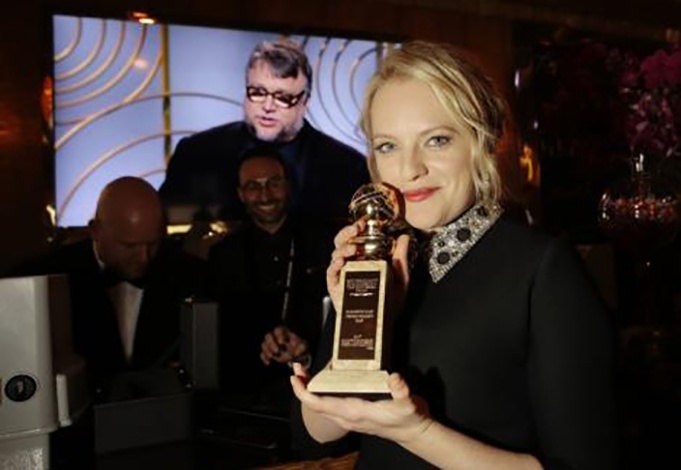 Her co-star is Michael Stuhlbarg of the HBO series “Boardwalk Empire” and the Academy Award-winning “The Shape of Water,” Sherman said, adding the two will be filming scenes in the area. The movie began pre-production work in New York City over a month ago. A release date for “Shirley” has not been scheduled, Sherman said. Catskill was chosen as a location because it can double as Vermont, where the film is set, Sherman said, adding the crew may film additional scenes in other parts of Greene County and surrounding areas. Traffic delays in Jefferson Heights because of the filming are expected from July 30 to Aug. 20, according to a statement from the Greene County Sheriff’s Office. Delays will begin at 7 a.m. Monday through Friday and the length of the delays will vary. Drivers can take Route 23 to Route 9W as an alternate route. Length of delays depend on the schedule of the filmmakers, Greene County Sheriff’s Office Lt. Adam Brainard said. “We just want to assure people they’re still going to be able to do their business down there,” Brainard said. The start of shooting coincided with the announcement of the creation of the Greene County Film Commission, a partnership between the county and Lumberyard Contemporary Performing Arts. Lumberyard can double as a film studio, according to a statement from the Greene County Tourism Department. The county is pursuing a consolidated funding application grant for a marketing campaign to attract film companies to the area. Greene County has rubbed shoulders with the movie industry many times in the past. Steven Spielberg directed key scenes of his 2005 remake of “War of the Worlds” in Athens, Mary Stuart Masterson filmed much of 2007’s “The Cake Eaters” in and around Catskill and writer-director John Sayles shot much of “Hard Choices” at the old Dairy Queen on Route 23.